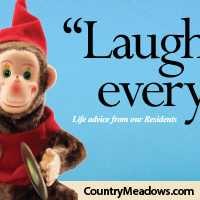 Country Meadows is one of the largest senior living providers in Pennsylvania, with 10 locations* in PA, plus one in Maryland. 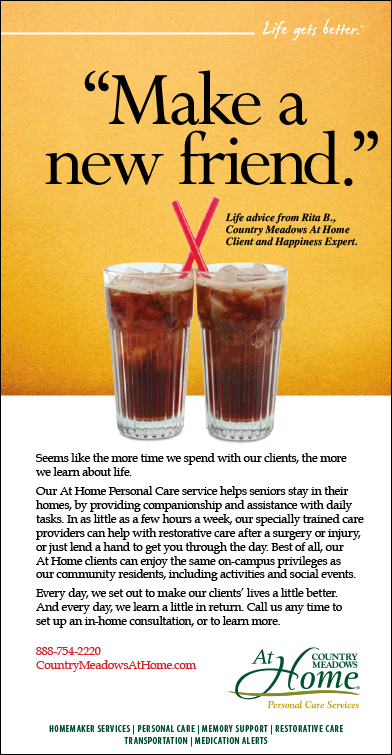 Their challenge was finding a brand focal point for the vast array of services they provide—from independent living to personal care, memory care and rehabilitation services. 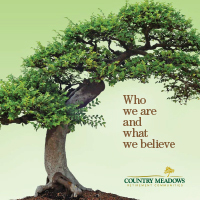 We conducted research among residents, their adult children and the employees of Country Meadows, and found that central to everything about the company and its philosophy is a focus on life improvement for their residents, their families and even their employees. 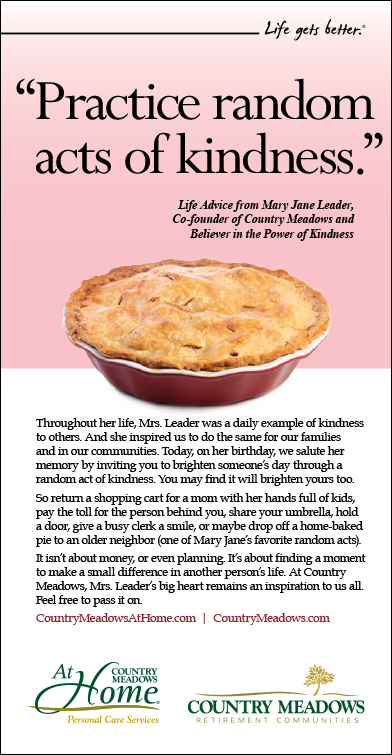 While this concept might fit many mission statements, Country Meadows had the programs in place to back it up. 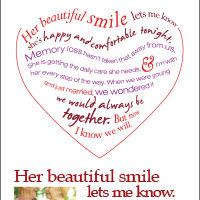 Life Gets Better. 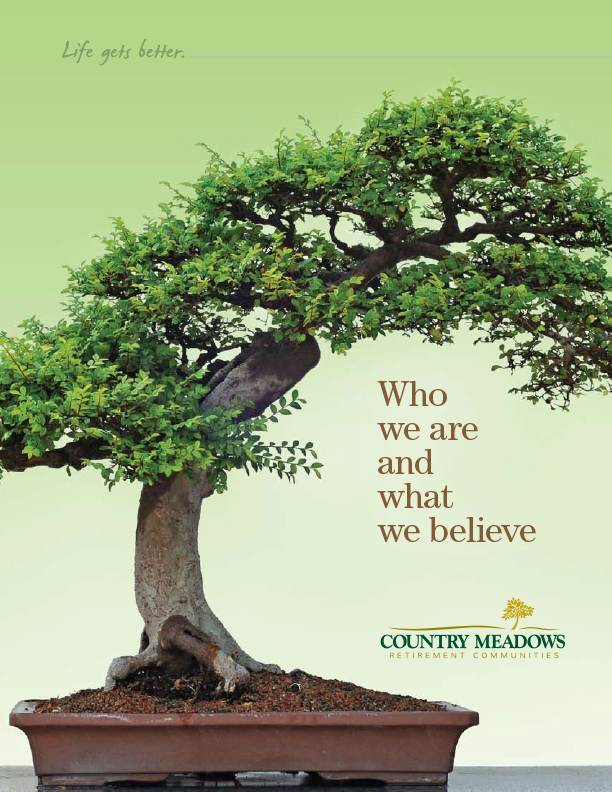 A bold brand promise (and now a registered trademark), but one that Country Meadows delivers through a truly superior brand experience. 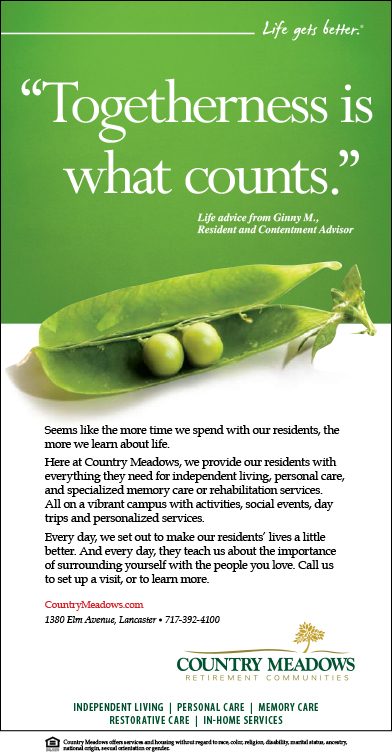 At Country Meadows, the lives of their residents are improved each day through a variety of programs and interaction with staff. 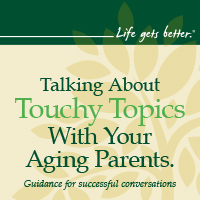 The lives of their adult children are improved through the peace of mind of having made a good decision to help their parents, and the lives of employees are improved by a company truly committed to their success as individuals and members of the team, including unique training programs and being selected 12 times as a Best Places to Work in PA. 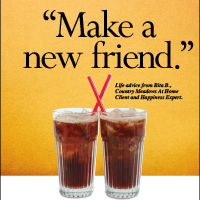 The first advertising campaign below articulates the “Life gets better.” brand promise by using actual resident quotes on how to live a happy and fulfilling life. 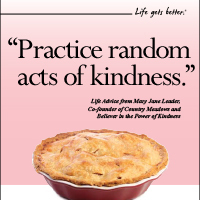 These quotes were gathered through a series of focus groups, and show how, each day, the employees at Country Meadows strive to make life better for their residents, while they learn important life lessons from the seniors in their care. 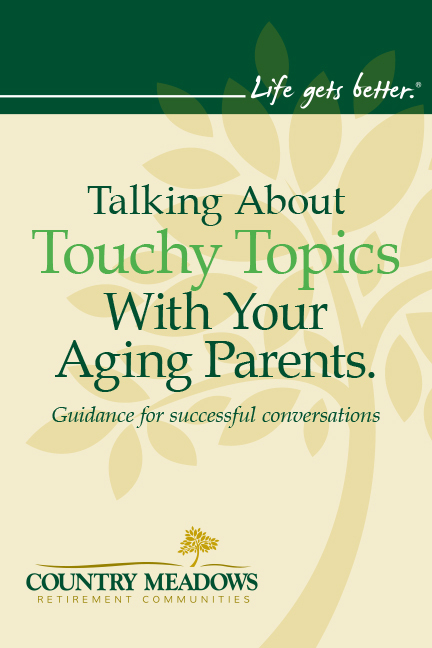 Next, as a key element of the Country Meadows branding program, we prepared this brand handbook, which is given to every one of their more than 3000 employees. 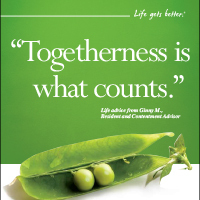 “Who we are and what we believe” explains their brand philosophy, gives examples and sets ground rules and expectations for employee performance. 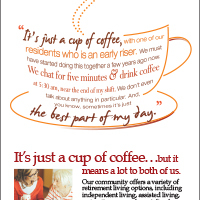 The most recent ad campaign focuses on moments of time, as told by Country Meadows residents and staff. 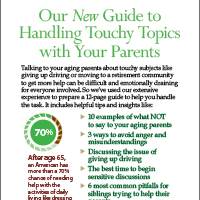 The final example below shows a couple of pages of the 12-page guide, “Talking About Touchy Topics With Your Aging Parents.” In order to assist people who are struggling with difficult subjects like giving up driving, Country Meadows offers this comprehensive guide with helpful advice.